CAI-CLAC Rolls Out the Legislative Strategy & Research Committee! CAI-CLAC is proud to announce its newest committee (drum roll…), the Legislative Strategy & Research Committee (LSRC)! The LSRC has been created to support the legislative agenda of CLAC through forward planning, development of strategy, and research. It is our hope that the LSRC will make CLAC even more dynamic in achieving its short and long-term legislative goals. The LSRC will play a lead role in supporting CLAC’s legislative agenda by soliciting, tracking and evaluating ideas from CAI supporters in California. The LSRC will also handle research projects as needed in order to support CLAC’s more ambitious long-term goals. How can you help? First and foremost, through your feedback. As supporters of CLAC, your input, suggestions, and ideas for legislation are vital to the success of the LSRC. No idea or suggestion is too big or too small. In fact, while CLAC worked extensively with the California Law Revision Commission and the Legislature on the development of the new Davis-Stirling Act (effective Jan. 1, 2014), one of CLAC’s goals for the upcoming year is to determine whether any minor changes to the Act are still needed. Small issues are likely to become more apparent once the law is put into practice, so we encourage our supporters to bring those problems to the LSRC. You may also be called upon to support the LSRC’s efforts in research and data collection or to weigh in on the priority of CLAC’s goals. Please email any questions, comments, suggestions and/or ideas to LSRC@caiclac.com. 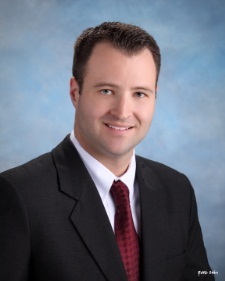 Nathan R. McGuire is a principal with Neumiller & Beardslee and chairs the firm’s Community Association Law Group. He is an At-Large Delegate to CLAC in the Bay Area & Central California Chapter, serves as one of CLAC’s Legislative Co-Chairs, and chairs CLAC’s Legislative Strategy & Research Committee. would love to see a way to terminate a management company without the expense of an election. Esp. when Board members are more loyal to the manager than they are their assoc. Every city needs an agency that will oversee condo boards and hold them accountable. Another revision to the state’s condo law is needed, one that protects condo owners from rotten condo boards. Hauling a condo board into court to seek a judicial order is just too impractical for homeowners. Many aspects of the law are ignored by condo boards because there are no penalties in the Davis-Sterling Act. Please consider signing a petition on MoveOn.org to establish local oversight and penalties for condo boards that don’t follow the law or their own CC&Rs. Here’s a link to the petition: http://petitions.moveon.org/sign/condo-oversight-petition. Thank you.